83, died at 9:00 AM on Tuesday, March 20, 2018, at Heartland Village in Lima, Ohio. Carol was born on February 2, 1935, in Youngstown, Ohio, to the late Charles E. Ellis and Alice Mae (Lawn) Ellis. On Saturday, November 28, 1953, she married George J. Sciranka Jr. who preceded her in death on January 4, 1984. She is survived by her children, Stan (Kim) Sciranka, of Gomer, OH, Steve (Mary) Sciranka, of Elida, OH, Rick (Belinda) Sciranka, of Lima, OH; a sister, Georgia (Lynne) Hemenway; two half sisters, Peggy Ellis, Charlene Ellis and one half brother, Charles Ellis, Jr; eight grandchildren, Matthew Sciranka, Marc Sciranka, Sarah (Brian) Siebeneck, Marissa (Scott) Baber, Patrick Sciranka, Allison Sciranka, Spencer Sciranka, Anna Sciranka and seven great grandchildren, Cameron Sciranka, Conner Sciranka, Anthony Roberts, Addalyn Gunter, Blake Siebeneck, Bryce Siebeneck and Ellie Baber. She was preceded in death by her step father, George Handel and step mother, Margaret Ellis; a daughter, Suanne Ulm, a son, George J. Sciranka, III and grandchild, Jared Sciranka; two sisters Shirley Gurmin, and Judith Stone. The joy of Carol's life were her children and grandchildren. She was a member of Eagles Aerie #370-Lima and VFW Post #1275-Lima. 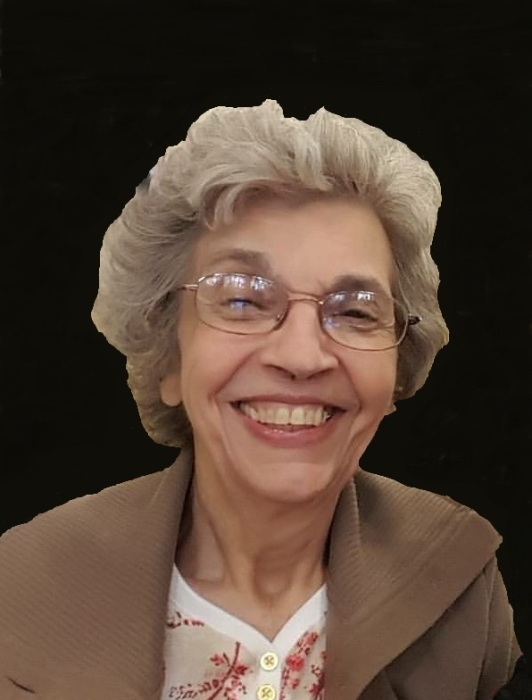 Mrs. Sciranka was employed with 1st Federal Savings and Loan for over 21 years, where she served as a Branch Manager at the time of her retirement. She also worked at W. F. Smith Realestate Appraisal, Lima, Ohio. She graduated from Youngstown South High School, Youngstown, Ohio. She was an avid reader and coffee drinker. She enjoyed sports, especially ones her children and grandchildren were involved with. She was a dedicated Ohio State Fan. Carol was known for her smile, by all who knew her and loved her most. The family will receive friends from 2:00 – 4:00 and 6:00- 8:00 p.m. on Thursday, March 22, 2018 at Chamberlain-Huckeriede Funeral Home in Lima, Ohio. A Mass of Christian Burial will be held at 10:00 a.m. at St. Rose Catholic Church on Friday, March 23, 2018. Father David Ross will officiate. Interment will be in Gethsemani Cemetery, Lima, Ohio. Memorial contributions may be made to Johnny Appleseed Metro Parks, 2355 Ada Rd. Lima, Ohio 45801 or Lima Area Concert Band, P.O. Box 732, Lima, Ohio 45802.